There are two 50m Full Bore Ranges, both with covered firing points and one of them has an electronic running boar target facility. 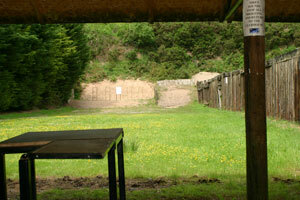 The standard range has 9 covered firing points, catering for prone, kneeling standing and bench shooting, and the benches are ambidextrous, catering for left and right-handed shooters. 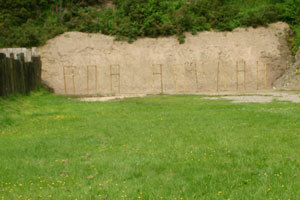 The Running Boar range has 5 covered firing points, catering for prone, kneeling standing and bench shooting. 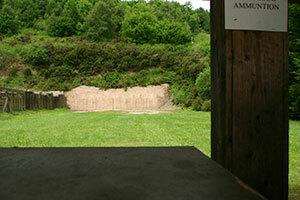 We do accept exclusive bookings for either or both the 50m ranges, please call us on 01743 791858 for more details.